What pain points do facility managers have concerning floor care? What do building owners wish designers and specifiers knew when specifying floors? What goes wrong with flooring installations after the project has been handed over to the client? 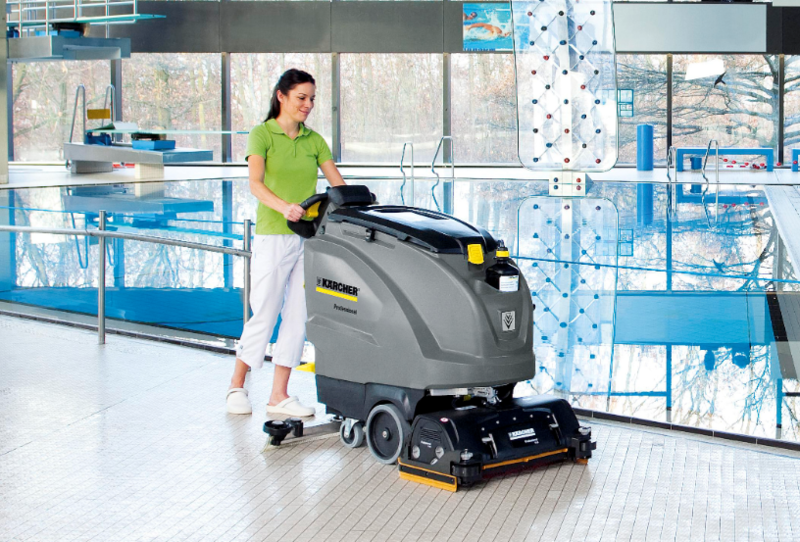 In this article, we delve into the issues surrounding the longevity and performance of floors and what concerns facilities managers face when it comes to maintaining and cleaning floors. Fanie Malan, CEO of facilities management consultancy FMFM, says specifying the correct flooring material for each application during the design phase will make a huge difference in a facility manager’s ability to extend the life of a flooring system. “You have various applications for various floors, so it is essential to identify the floor material for the type of application such as office floors, retail shopping mall, floors for warehousing and so forth. The correct selection of flooring material can significantly extend the life cycle of your floor. The quality of the flooring product you choose is arguably the most important factor in how long the floor will last,” says Fanie. Rudd van Deventer, Architect and Facility Planner at SpaceWorx, says the top three pain points when it comes to floor care are experience and its state of repair in the case of carpets; access to clean hot water in the case of cleaning floor sheeting, epoxy and concrete floors; and the lack of training of the maintenance staff. “It can happen that cleaning materials start to build up on a floor, leading to damage. In this case, it is usually the maintenance staff who have not received adequate training on the correct floor care and best practices with regards to cleaning,” says Rudd. Fanie agrees that as facility managers, they run into a number of challenges that are largely related to inadequately installed flooring and the hiring of unskilled labour to maintain and clean the floors. “In many cases, you will find that your cleaning company staff are not properly trained and do not know what cleaning chemicals to use on different types of flooring. In say an office building, there can be a mix of carpet, ceramic tiles and wooded floors. The client may find that chemicals from the tiles have penetrated the wood flooring, which will permanently damage the floor. Wood flooring and ceramic tiles in high traffic areas also tend to be a major issue, as are applications where porcelain tiles haven’t been properly sealed, which leads to dust and stains penetrating the tiles and making them difficult to clean,” says Fanie. Dean continues that often the contractor or sub-contractor’s execution and quality control when installing flooring products are also inadequate, resulting in surfaces and floor detailing that fall short of specification but are signed off anyway. “The long-term cost implications of a poor installation are significantly higher than spending the money upfront and appointing an experienced consulting firm to manage and enforce design outcomes. There is seldom a contract in place that addresses the relationship between the contractor, sub-contractor and materials supplier as well as each party’s accountability for the design outcomes. Most contractors/sub-contractors and their material suppliers offer a split responsibility agreement that offer the client no recourse past 12 months leaving them on the receiving end of a sharp stick thereafter,” says Dean. Rudd says that architects are essentially driven by the type of environment when choosing a floor finish. “There are many criteria to consider and we need to arrive at a solution that balances the environment, expected life, wear resistance, maintenance criteria, tactile presentation, acoustic performance and customer expectations. This will lead us to a decision between, for example, broadloom carpet, carpet tiles or tiles that are full bodied or glazed, smoothed or textured, glossy or matte, etc. ; or sheet flooring that is either with or without backing, with sealed or welded joints, in varying thicknesses; or liquid applied floors, epoxies and sealants to prepare surface beds or screeds. An underappreciated aspect of any specification is the installation of adequate and cleanable walk-off mats at all the entrances,” says Rudd. Fanie adds that there are certain things that architects and designers should keep in mind, including the footfall, the weight of elements that the floor will be subjected to, as well as environmental conditions. “Retail centres and shopping malls have much more foot traffic than a corridor in an office, so the durability of the products being installed needs to be able to withstand the footfall. The weight that the flooring will handle is also an important consideration. A warehouse, for example, will be subjected to several tons, which means you also have to consider the screeding and expansion joints along with the flooring that is being installed. Some big anchor tenants in shopping malls, such as Game and Shoprite, might use forklifts in a retail environment, which means that flooring with an industrial grade performance needs to be specified. The ambient temperatures and weather conditions that the materials will be subjected to is also a key consideration,” says Fanie. Ellian points out that it can also lead to an unhygienic indoor environment. “Total build-up on the floors not only increases the cost of restoration and cleaning, it can lead to an unhygienic situation for workers and visitors on the property. Pro tip: The correct selection of the flooring material you are going to install can significantly extend the life cycle of your floor. Full thanks and acknowledgement are given to www.safma.co.za, www.spaceworx.co.za, www.fmfm.co.za, www.discovery.co.za and www.acryliconpolymers.com for their contributions to this article.